Science myths from Mental Floss: Lisa Simpson was wrong about Coriolis effect. This has nothing whatsoever to do with the Earth’s spin. Science is fun, except when it’s utterly devastating. Mental Floss today has a video that lays waste to 50 popular science misconceptions in less than eight minutes, and did you know that stars don’t twinkle, diamonds don’t come from coal, and a duck’s quack does echo? OK, so the majority of these revelations aren’t going to shock those of you who passed eighth-grade science, let alone subscribe to Nature. Still, there are enough busted myths here that most people should be able to walk away with at least a couple of their treasured beliefs shattered. Here are seven of the most potentially life-altering—and if your reaction to all of these is “duh,” feel free to try your luck on the other 43 by watching the full video below. 1. The brontosaurus never existed. Rather, in the 1880s an overzealous paleontologist mistook an Apatosaurus skeleton for a new species. The mistake was discovered in 1903, but the Brontosaurus lived on in museums until the late 1970s and in pop culture even longer, probably because it has a way cooler name. Further reading: NPR has the full story, while Brian Switek covered this and other dino myths in Slate earlier this year. 2. There is no dark side of the moon. At least, not a permanent one. It’s true that one side of the moon is always turned away from us, but it gets just as much sunlight as the side we see. Further reading: Plait covered this on his Bad Astronomy blog in its pre-Slate days. 3. Adding salt doesn’t make water boil faster. It actually raises the boiling point slightly, but in any case the difference is insignificant for cooking purposes. Further reading: Mike Damann of the Southwest Research Institute has a thorough rundown of the chemistry involved. 4. Sally Ride was not the first woman in space. Not even close. Soviet cosmonaut Valentina Tereshkova got there in 1963, a full 20 years before Ride. Further reading: Slate’s Laura Helmuth examined why it took NASA so long to send a woman into orbit. 6. The lifespan of a house fly is not 24 hours. The damned things can buzz around for 20 to 30 days. Sorry. 7. 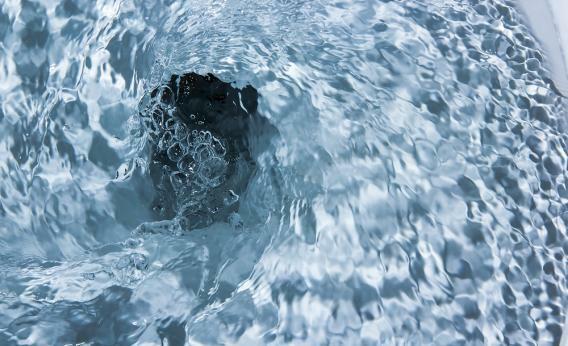 The Coriolis effect has nothing to do with which way the water circles when you flush your toilet. Lisa Simpson was wrong—the amount of water in your toilet is far too small to be significantly influenced by the Coriolis effect. If you want to know why it drains clockwise or counter-clockwise, try looking at which way the water comes out of the jets. Further reading: Plait tackled this one too, as have plumbing experts. There now. If it makes you feel any better, Mental Floss’ rundown also includes some happier truths, like the fact that you don’t accidentally swallow eight spiders a year and alcohol doesn’t actually kill brain cells. One quibble with the video’s conclusion: Green is right that correlation doesn’t imply causation, but as Slate’s Daniel Engber pointed out last year, mindlessly repeating that maxim isn’t particularly helpful either.